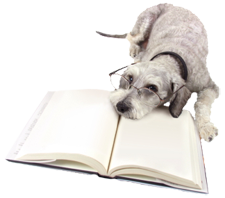 Pacific Crest Companion Animal is aware of the vast amount of information available on the Internet. Our team has taken the time to evaluate the following web sites and we can confidently recommend them to you, our valued client. "Thank you so much for always being there for my pets. The Vets are amazing and the office staff is always friendly and compassionate. I am so thankful to have been able to have my animals treated by such a wonderful staff." "My Chocolate Lab was attacked by 2 Pit Bulls and I didn't think He would survive. I got Him in the car, bleeding profusely, called Pacific Crest and Laura said "bring Him in". The poor dog had tubes in places I wouldn't dream of. His ears were torn in pieces and I had little hope for survival. Many more tales with both dogs and I would never think of going else where." "Thank you for checking on my Baby love the staff very friendly Dr. Kelly is amazing too." "Thank you for taking such good care of our Cleo!" "I cannot say enough good things sbout the staff here. Took my 11 year old kitty in today for a severely infected abcess and they worked hard fixing him up. Everybody is so incredibly sweet and helpful! The price after treatment was very reasonable as well. Beautiful facility with the most caring and professional staff you'll ever encounter. My new vet clinic for all of my fur babies from now on"
"My kitties love Pacific Crest! We appreciate the TLC and especially the guidance when we've had to make end-of-life decisions for our pets. It's always tough but it helps when you have a vet who understands and loves cats as much as you do." "Not only are they amazing with horses...they are awesome with your small, four legged friends. So caring and compassionate. I wouldn't take my pets anywhere else!"